We are so excited to have opened our new showroom at 81 1/2 Fairhaven Road in Mattapoisett, Massachusetts. Located at the River Shops, our showroom boasts gorgeous kitchen and bathroom displays along with thousands of samples of glimmering hardware, fixtures and the latest in kitchen appliance design by Wolf and Sub Zero. 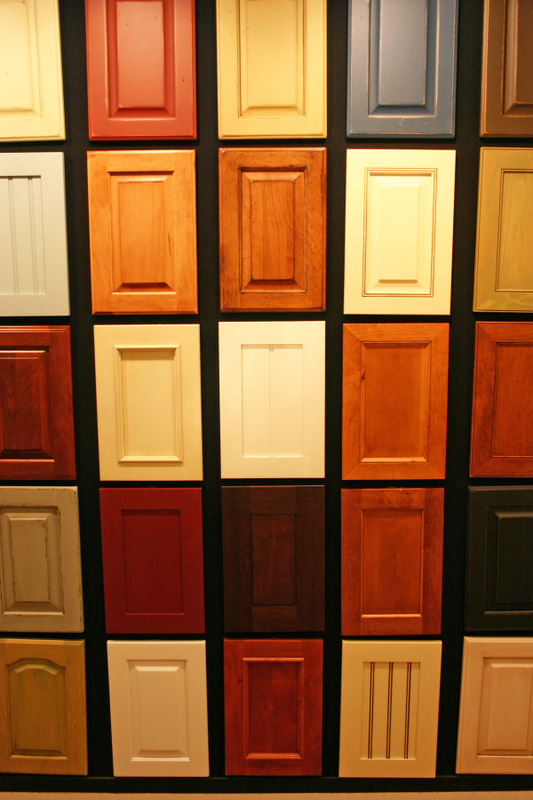 As you walk into our showroom you are greeted by a grand display of Plain and Fancy Cabinetry. With details such as an elegant mantle to display your favorite collection, or hidden spice compartments behind carved columns, this display beautifully showcases the craftsmanship of the cabinet makers and the style of our lead designer, Tena Collyer. Tena chose a traditional mid tone solid cherry cabinet and decorated them with semi precious hardware made of Jade, Mother of Pearl and Pen Shells. To add an additional seaside flair, Tena chose a granite reminiscent of river rock for both the countertop and the backsplash. This kitchen is not only functional but graceful, grand and elegant. Details offers an extensive selection of decorative hardware. From fun and whimsical to rare gems and fine crystal, the hardware selection is magnificent. Details is proud to unveil a fully functional kitchen showcasing the latest and greatest from SubZero & Wolf. Here in our new working kitchen we can showcase the functionality of the cabinet design in conjunction with the amazing appliances. 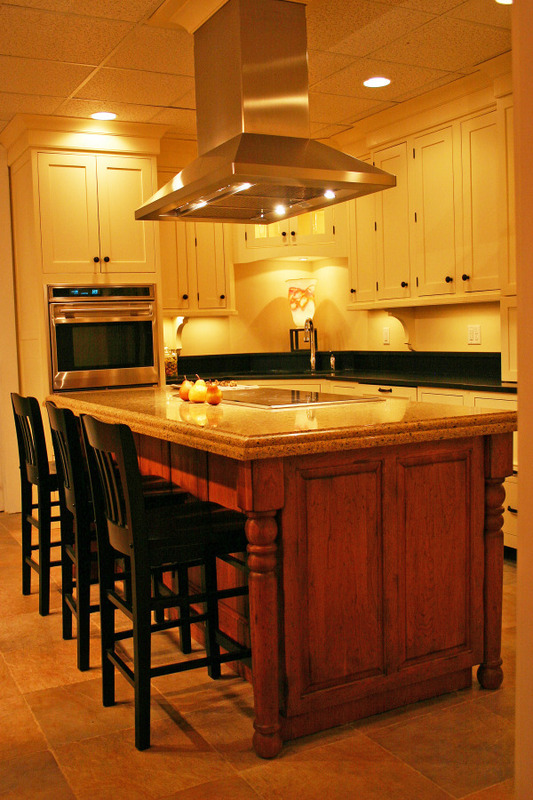 We chose to use a blend of custom and semi-custom cabinetry. We used Starmark and Semi-Custom in a buttercream painted finish. We then layered on a gorgeous absolute honed absolute black granite countertop. We chose to kick it up a notch with a custom designed island and finished it in Plain and Fancy's new dry brushed glaze. The end result is a stunning anchor of design in the kitchen that has a furniture like feel. It warms up the space and defines "homey". To further enhance this look we chose a double stacked granite countertop that perfectly balances the scale of the island with its chunky dimensions. The black stools, also available at Details, provide the perfect finishing touch to this stunning working kitchen. Door samples by Plain & Fancy can be viewed in our new sample room along with numerous samples from our other cabinet lines. We have also created an additional sample room just for countertop finishes. Our window display is a beautiful blend of stained and painted maple cabinetry by Plain & Fancy. This classic country look will brighten up any space and would look perfect in a period home, that needs updating. Custom brackets and a painted interior in the center wall cabinet add beautiful details without overwhelming the eye and provide a perfect place to display a collection of whiteware (available at Surroundings). We chose to have a little fun in our new showroom. Here Tena used Contempo Fizz, a unique contemporary style display from Medallion semi-custom cabinetry in a deep gingersnap stain on cherry wood. The modern hardware along with mirrored backsplashdesigned to be reminiscent of soda fizz, make this display a perfect inspiration for a bar in your own home. Sparkling granite countertops and polished chrome mosaic hardware truly make this display shine. Perfect for the upscale seaside home, the "Yacht Club Bath" includes a custom bow front StarMark vanity with an elegant creamy marble top. Polished nickel fixtures and accessories give that nautical look, but with an upscale feel. In 2006 Details designed the kitchen for Coastal Living Magazine’s Idea House. We loved the kitchen so much, we wanted to replicate it in our new showroom. This overall look is a perfect representation of a design style we call “coastal casual”, which we use often in our seaside town of Mattapoisett and surrounding coastal areas. When clients of ours called and said that one of their waterlogged cabinets had literally fallen off of the wall, we knew and they knew that it was time for a new kitchen. What began as a stark, white kitchen has been transformed into a gorgeous, modern transitional kitchen for a busy household. 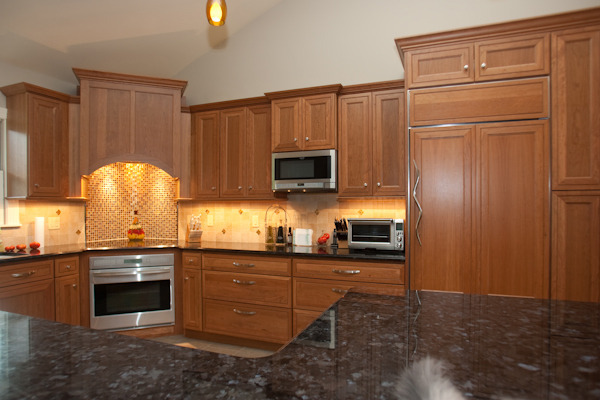 We chose to work with Starmark Cabinetry to design a contemporary take on cherry. 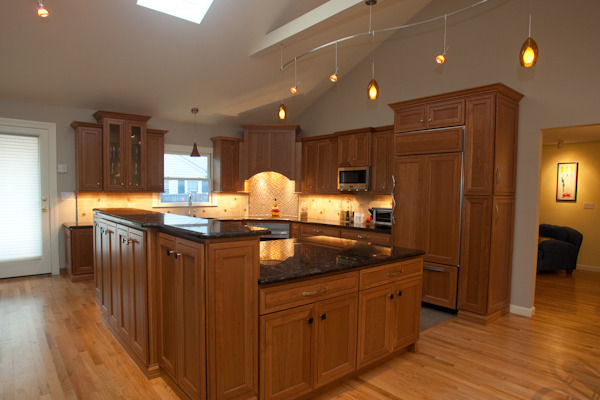 The subtle hues of this natural wood lend natural warmth to the kitchen that was missing before. Out clients selected glossy granite, SubZero & Wolf appliances and finished off the kitchen with bright and shiny hardware. It is amazing to see just how different this showcase kitchen was before. Scroll down to view all angles of this fantastic kitchen.